We’re celebrating our favorite herb with Lavender Daze on July 9 & 10! Plan to see lots of purple as 77 varieties show their color in our Lavender Field. Experience a bit of Provence as you stroll through our field of fragrant bit of purple heaven! Be sure to bring your camera. The day will be filled with garden tours, presentations, and surprises, so mark your calendar today! Cooking with Lavender demonstrations at 12 & 2. "Growing Lavender Sucessfully" talks at 11 & 1". Visit booths with garden-related products. Enjoy a complimentary Lavender Tea, featuring tea from Harrod’s in London. Pack a picnic, bring your friends. 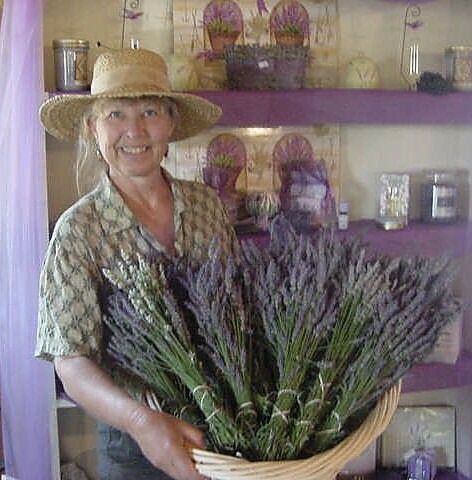 All lavender plants & lavender products will be 10% off for these two special days. Pick a bouquet of lavender for your home for a nominal fee, or learn to make a lavender wand in our class (please pre-register). Do a make-it, take-it craft with lavender for free! If you would like to be a vendor for this event, submit the vendor form on our website.